PRESS RELEASE: Government of Nepal and UN Environment launches National Adaptation Plan (NAP) to build institutional capacity to deal with adverse impacts of climate change. 23 November 2018, Kathmandu, Nepal: Asia’s first Green Climate Fund (GCF)-financed project to support National Adaptation Plans (NAPs) is being launched in Nepal this week. The new NAP project is benefitting from nearly US$3 million in financing from the GCF. This three-year project will support Nepal to advance its process to formulate and implement its NAPs – particularly focussing on climate-sensitive sectors, such as agriculture, infrastructure resilience and food security. ‘The NAP process assists in mainstreaming climate change adaptation into development policies, plans and strategies. 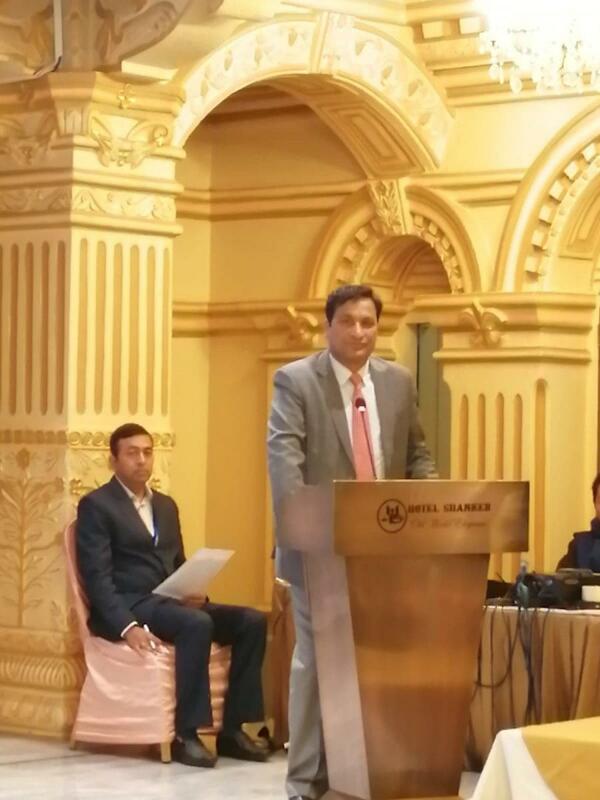 This project will support the Government of Nepal to build long-term capacities for the institutional structures involved in NAPs, as well as lay the groundwork for sustainable funding mechanisms,’ said Mr. Shakti Bahadur Basnet, Honourable Minister of Forest and Environment, Government of Nepal, at the project launch. Climate change is anticipated to exacerbate the many development challenges in Nepal, and negatively impact sustainable development. Increased intensity and variability of rainfall means that Nepal – with its highly varied topography and regions of extremely high elevation – is likely to suffer from periods of increased flooding, as well as aridity or drought. These changes and challenges will negatively impact livelihoods and food systems, with far reaching consequences for human security, migration patterns and economic development. Nepal's flora and fauna are particularly diverse and unique. Climate change patterns threaten to alter these fragile ecosystems, driving some species to the point of extinction. Specific threats include glacial lake outburst floods (GLOF) and bishyari - which occur when a landslide dams a river and breaches - both of which are catastrophic for vulnerable communities in their paths. ‘In advancing our adaptation planning processes, we recognise the necessity to involve various sectors in effective multi-sectoral planning. We also acknowledge the vital role of communities in addressing climate change and other development issues,’ said Dr. Bishwa Nath Oli, Secretary, Ministry of Forests and Environment. The new project aims to support the Government of Nepal to enhance adaptation planning processes, strengthen systems for developing and sharing climate risk and vulnerability information and establish financing and monitoring strategies for the NAP. Around 66 percent of the population depends on agriculture for their livelihoods, and improved plans for climate change will support Nepal in mainstreaming and accelerating policy support to achieve the Sustainable Development Goals for Climate Action, No Hunger and No Poverty. For Nepal to achieve its commitments under its Nationally Determined Contributions (NDC) to the Paris Agreement, the country must strengthen their capacity to plan for climate change, support policy and budgeting frameworks, and prepare vulnerable sectors for the impacts of climate change. 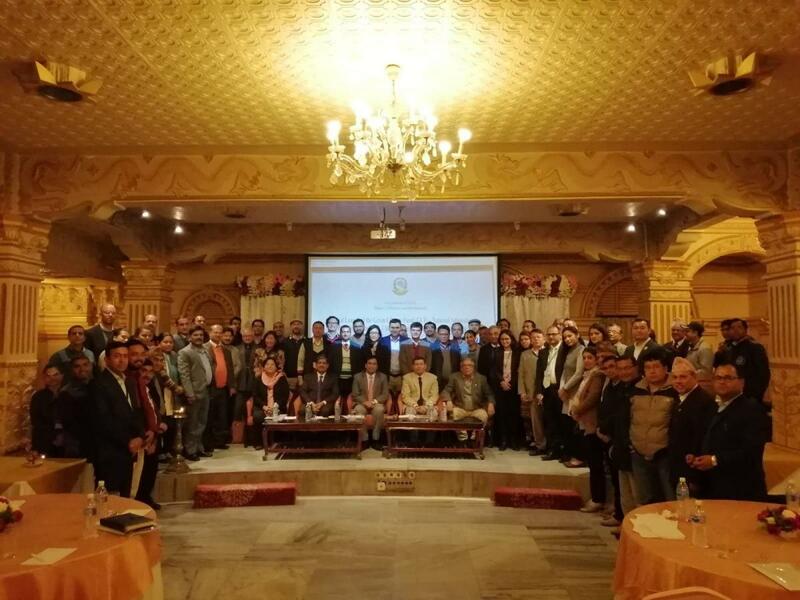 Partners in the NAP project will include the GCF, the Ministry of Forests and Environment and the Ministry of Finance of the Government of Nepal, and UN Environment. The UK Department for International Development (DFID) is co-hosting the project launch and inception. More than 100 delegates from government, the private sector, national media and international agencies including UNDP and event co-hosts DFID, are attending the launch and inception workshop. ‘The National Adaptation Plan (NAP) provides an excellent opportunity for government of Nepal to build its capacity and institutionalise it to develop and continuously monitor progress of reduction of vulnerabilities, enhancement of adaptive capacity and building resilience. UN Environment will bring its knowledge and expertise to work together with Government of Nepal in this very important journey,’ said Mozaharul Alam, Regional Coordinator - Climate Change Programme, UN Environment Asia and the Pacific Office. UN Environment supports an expanding portfolio of GCF-financed NAP projects. UN Environment is working with national governments, donors and other key stakeholders to support seven countries in the Asia and Pacific region to access GCF financing to mainstream climate change risks and opportunities into their adaptation planning and budgeting processes. The new NAP project will build on support already provided by the Global Environment Facility (GEF)-financed UNDP-UN Environment NAP Global Support Programme (NAP-GSP) which has supported Nepal since 2013 to identify technical, institutional and financial needs to integrate climate change adaptation into medium- and long-term national planning and financing. NAP-GSP: The Global Environment Facility (GEF)-financed joint UN Development Programme-UN Environment Programme National Adaptation Plan Global Support Programme (NAP-GSP) works to assist developing countries to identify technical, institutional and financial needs to integrate climate change adaptation into medium- and long-term national planning and financing. The programme also provides opportunities for knowledge exchange on NAPs and adaptation planning.